My friends love this cake. It is popular in America as well as Japan. 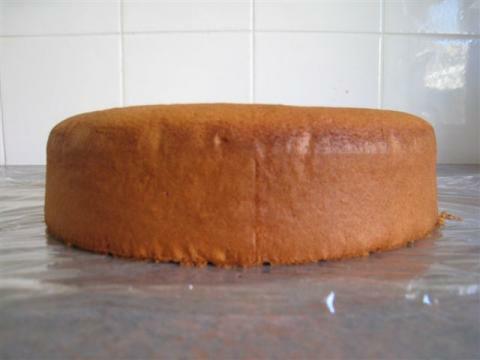 It has a hole in the middle,very soft sponge.Not suitable for decoration because it is too soft. Banana, Choc chip, Orange, Lemon, Earl grey. Plain, Coffee, Poppy seed...many flavour is available. Practice, practice, practice. 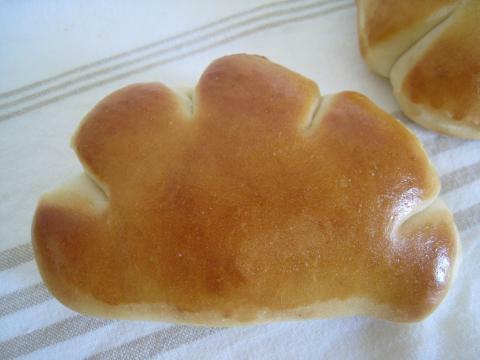 Traditional Breads. Not feeling well for the last couple of months I was unable to take any breads ordering from friends. It was hard enough just looking after myself as well as my family but finally I am now starting to feel better. 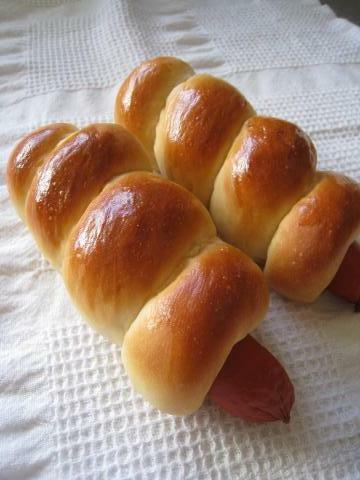 When I started to bake, I always wanted to bake beautiful traditional breads like French bread, unfortunately this often ended in failure. 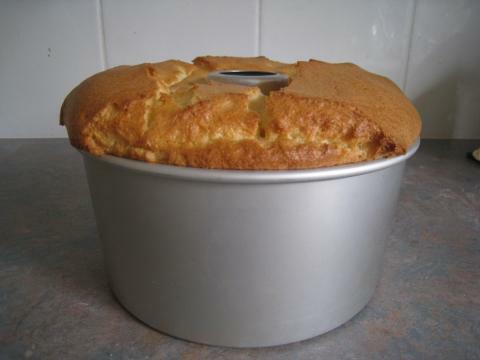 While the ingredients are simple, containing only flour, yeast and salt. It has taken nearly five years of trial and error to understand importance in the quality of the flour used indeed the flour is what provides the taste to the bread. It is easy to bake loafs and sweet bread which contains butter, sugar and eggs as these ingredients add nice flavour as well as softness to bread. 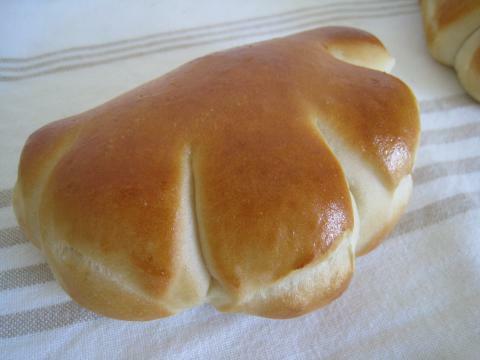 Now my sickness has passed I have focused my efforts on traditional bread again and I believe my skills of baking have finally been proven in the simple but very difficult loaf below. 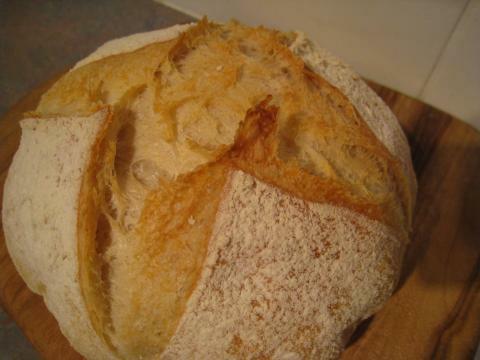 This is my first "Pain de Campagne". 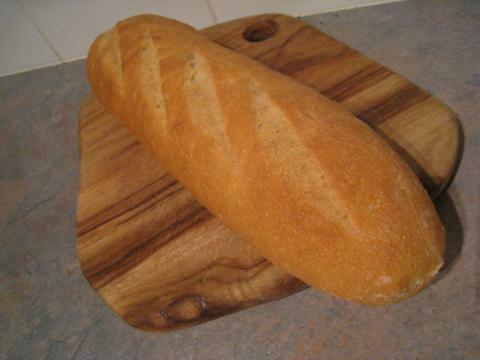 This is french bread. I don't remember how many times I tried. 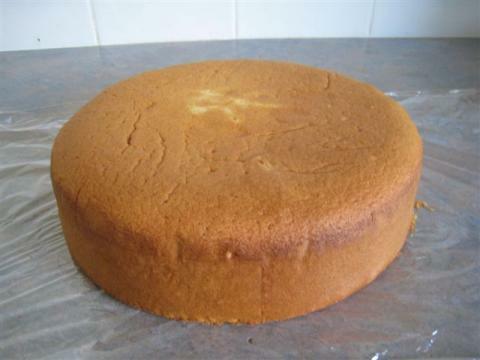 Sponge cake is now available ! This sponge is not too sweet, and it is very soft and light. Cut sponge into 2 or 3 pieces, you can decorate by your self.Put strawberry, peach,kiwi fruit....whatever the fruits you like. 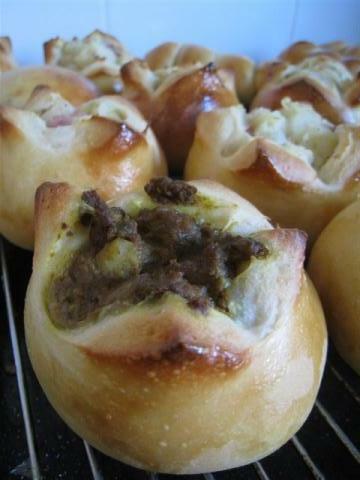 Curry filling contains beef, onion, carrot and potato.Great for snack! 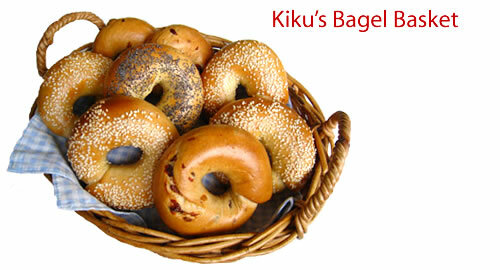 Kiku's Bagel Basket will be closed from 29th March to 17th May. I am going to visit my family in Japan, so private order will be not available. If you want order, just give me a call or send e-mail by 26th March.Thank you. Great for kid's school lunch. Kiku's Bagel Basket will have stall this weekend (2nd November) at Beenleigh Market. 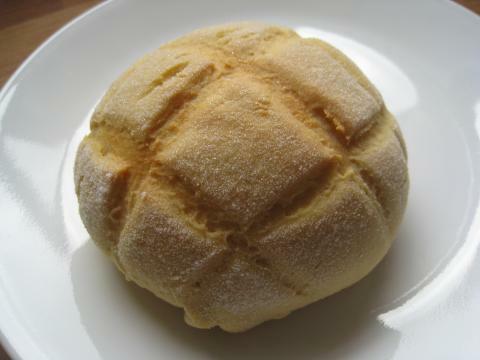 This Japanese style bun is filled with custard cream. Kiku's Bagel Basket will have stall this weekend (26th October) at Beenleigh Market. Kiku's Bagel Basket will have stall this weekend (19th October) at Beenleigh Market. 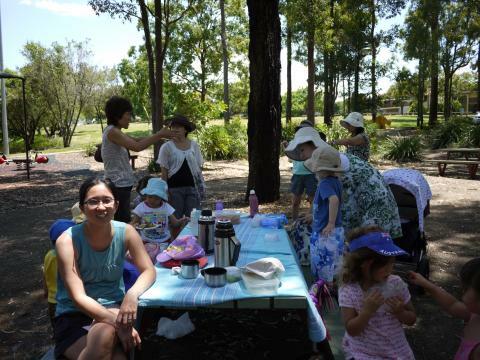 Kiku's Bagel Basket will have stall this weekend (12th October) at Beenleigh Market. Kiku's Bagel Basket will have stall this weekend (5th October) at Beenleigh Market. 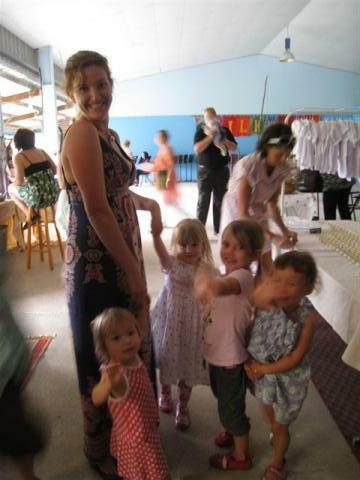 There will be no market on this weekend at Beenleigh Show ground because of Beenleigh Show.